Will the status quo remain or is Sudan headed towards democracy? Following the dramatic end of president Omar al Bashir's rule after three decades, he was moved to Kober prison in Khartoum, a source said. 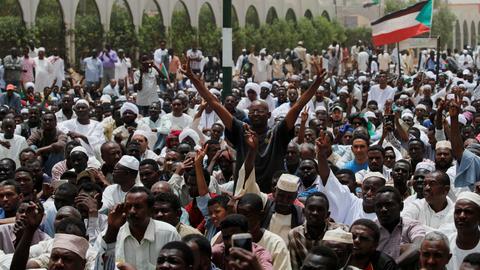 Sudan's military rulers have transferred ousted president Omar al Bashir to prison, a family source said on Wednesday, as demonstrators keep up their sit-in outside the army complex calling for a swift transfer to civilian government. Following the dramatic end to Bashir's rule of three decades last week, he was moved late on Tuesday "to Kober prison in Khartoum", the source said without revealing his name for security reasons. Witnesses near the prison in north Khartoum said there was a heavy deployment of soldiers and members of a paramilitary group outside. Lieutenant General Shamseddine Kabbashi, the spokesman for the Transitional Military Council later also announced that two brothers of ousted President Omar al Bashir have been arrested as part of a continuing campaign of arrests against "symbols of previous regime." TRT World's Khalil Charles reports from Khartoum. 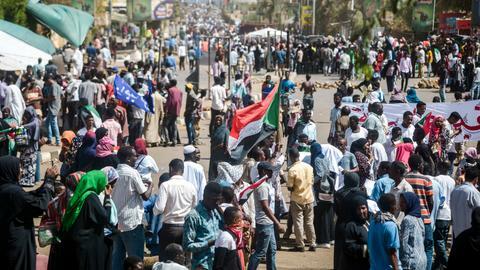 Sudan's military rulers have made some concessions to protesters, including the sacking on Tuesday of prosecutor general Omer Ahmed Mohamed, but demonstrators fear their uprising could be hijacked. "We faced tear gas, many of us were jailed. We have been shot and many have died. All this because we said what we wanted to," protester Fadia Khalaf told AFP. Officials say at least 65 people have been killed in protest-related violence since December, with some of those killed immortalised in a Khartoum mural. While there have been scenes of celebration – with demonstrators singing and waving their national flag – the protest site has grown more tensed amid concerns the army will try to clear the sit-in with force. Just a day later former defence minister General Awad Ibn Ouf stepped down as council chief, sparking jubilation on the streets of Khartoum. His successor General Abdel Fattah al Burhan oversaw weekend talks with political parties, which failed to make headway. Saudi Arabia and the United Arab Emirates have thrown their support behind the military, whose troops are set to remain in an alliance led by the Gulf powerhouses in Yemen.